I'm still on the Wirral, metaphorically at least. 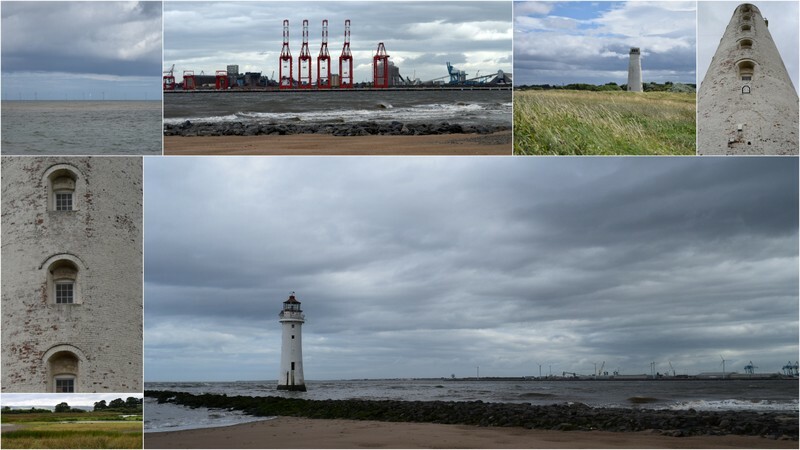 Here are New Brighton lighthouse, complete and standing in the sea, and Leasowe lighthouse, standing on land and missing its top, along with a peep at the industrial landscape along the same coast, which I find strangely appealing. Wow this is gorgeous. So peaceful. Love the lighthouse picture on the bottom right. I like the industrial picture too.